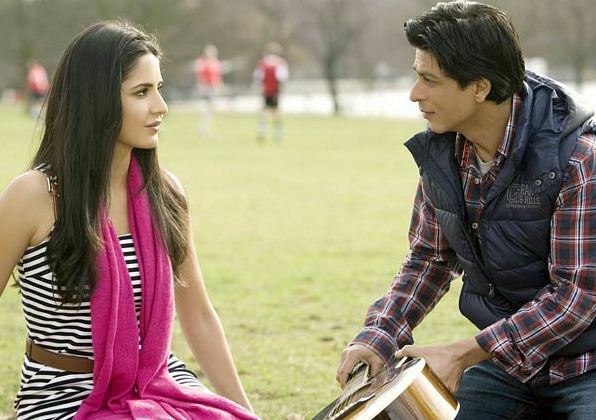 What’s the name of Shahrukh Khan-Katrina Kaif starrer? News about Shahrukh Khan pairing up with arch rival Salman Khan’s favourite girl, Katrina Kaif made everyone sit up and take notice. But that was a while ago. We took our time to digest this juicy tid-bit. Then woke up to rumours about the movie’s name being London Ishq. Sadly, even weeks after all that the movie continued to remain nameless. But not anymore, folks! An elated birdie has chirped that the father and son jodi, Yash Chopra and Aditya Chopra have finally stumbled upon a name that has made them happy. Any guesses what it could be? Well, here’s what. “Yash Chopra had more or less finalised that the film would be called Jai but later he did a rethink. He preferred Yeh Kahan Aa Gaye Hum from his controversial film Silsila which starred Amitabh Bachchan with Rekha and Jaya Bachchan,” the birdie said. Ooooh! Now that’s interesting, right? When Silsila released, the industry was rife with rumours surrounding Amitabh, Rekha and Jaya. So do we suspect a triangle here as well? Shahrukh, Katrina and….? Er, Salman Khan? Or Priyanka Chopra? Tell us, dear BollywoodLifers – who do you think should complete this triangle?